Bloggers Mix It Up at Downtown "Run-in"
About 100 local-based bloggers were away from keyboard Wednesday night, browsing the SDBloggers March Run-In at Ra Sushi in downtown. The casual networking event attracted web writers of various interests — from sports to fashion, lifestyle to automobile — in hopes of combining interests and specialties and advancing the blogosphere’s development. 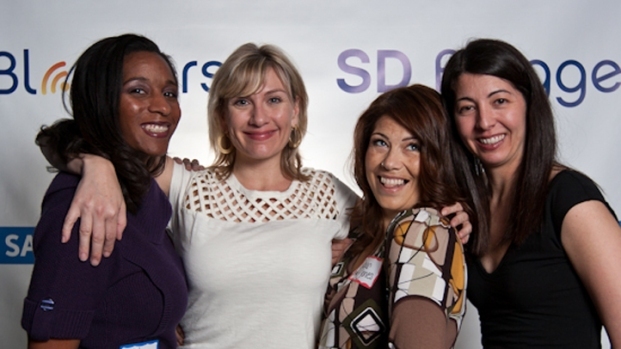 Founded in 2007, SDBloggers hosted the event. NBC San Diego was also a sponsor. SDBloggers encouraged attendees to collaborate to each other’s platforms through guest blogging. Matt Browne, one of 500 SDBloggers writers, said running a blog can be a “full-time responsibility,” which makes guest blogging useful for beginners. “There’s a lot there,” Browne said, “and if you have an idea every other week or once a week, and your ideas are very random and you’re not exactly sure what you want to blog about, guest blogging is a great way to get your feet wet in the community. Sugar Jones, who runs a blog called Sugar in the Raw, described the local blogger scene as a close-knit community.